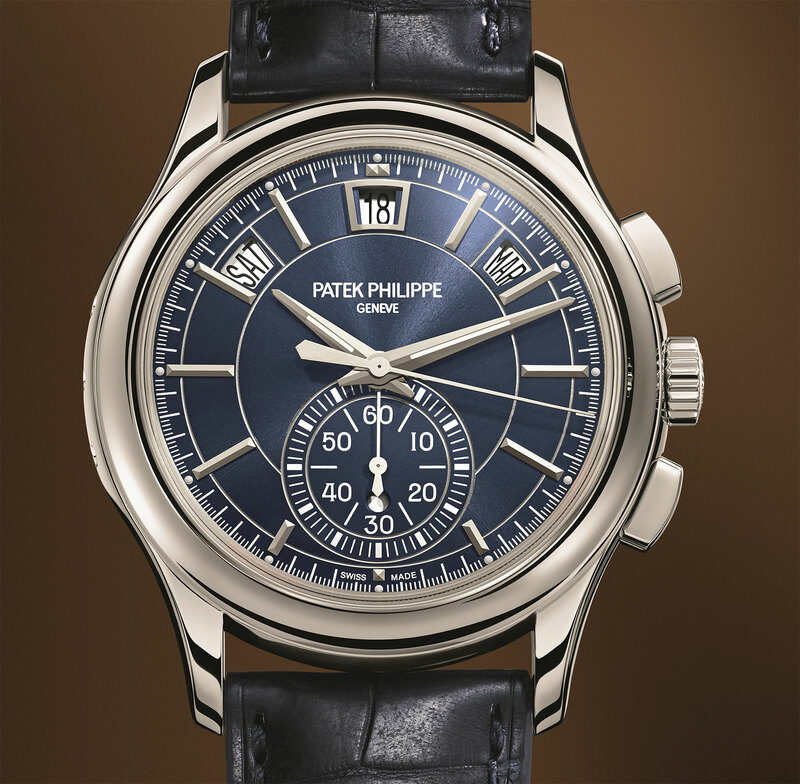 Patek Philippe unveils the new Annual Calendar Chronograph Ref. 5905P in platinum, featuring a four year calendar and 60-minute chronograph in a 42 mm platinum case, larger than the model it replaces. 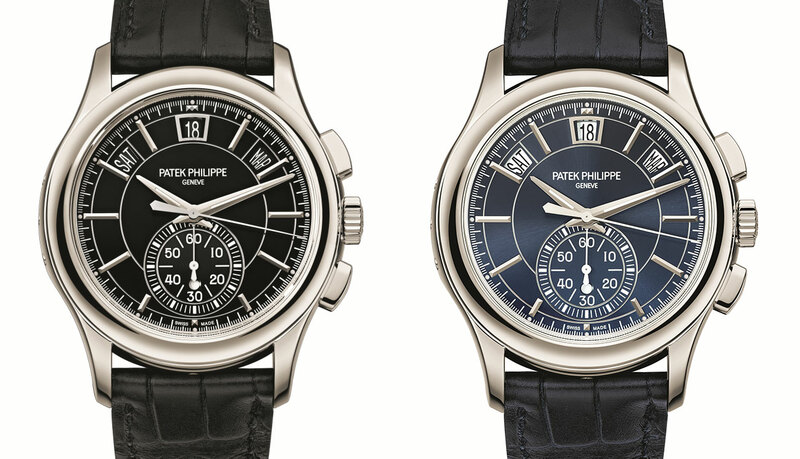 Last year Patek Philippe discontinued its Annual Calendar Chronograph Ref. 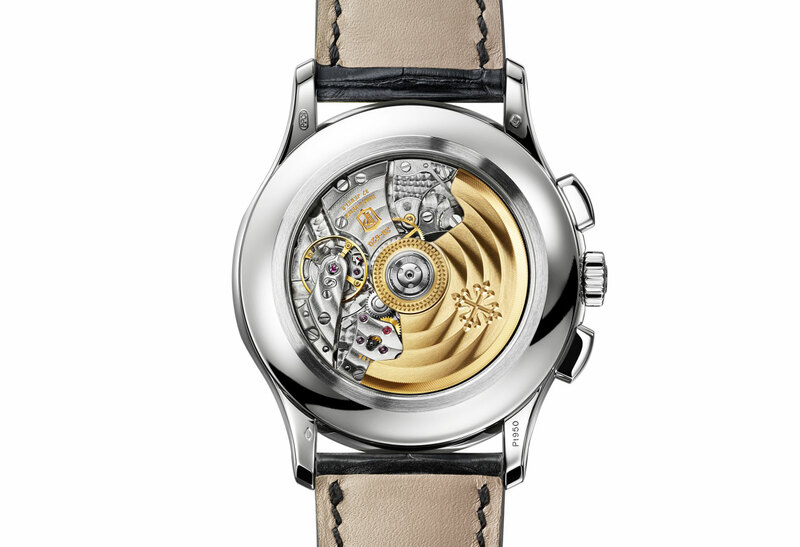 5960 in all precious metals, replacing them with an atypical steel version, the Ref. 5960/1A. The replacement for the precious metal versions has just been introduce at Baselworld, in the form of the Annual Calendar Chronograph Ref. 5905P. The dial of the 5905P features a geometric grid connecting the baton hour markers, along with dauphine hands, giving it a look similar to the annual calendar Ref. 5205. Mechanically the new 5905P is nearly identical to the model it replaces, except that it is a 60-minute chronograph, meaning it can only record elapsed times of up to an hour. In contrast, the Ref. 5960 had a 12 hour counter, making it useful for the rarely used purpose of recording extremely long times. Despite the change in the chronograph totaliser, the movement inside is largely the same, with the same view through the display back that shows the calibre Caliber CH 28-520 QA 24H. This is fitted with a silicon Spiromax hairspring and has a 55 hour power reserve. Hour counter aside, the other key difference is the larger case, now 42 mm in diameter with oblong chronograph buttons. That’s significantly larger than the 40.5 mm of the 5960. 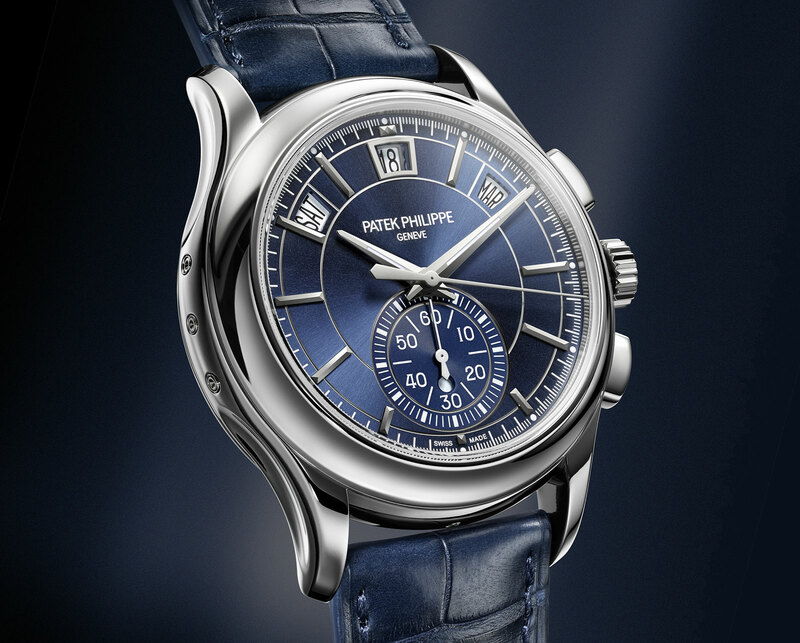 The new 5905P is available only in platinum for the moment, with either a glossy black or metallic blue dial. 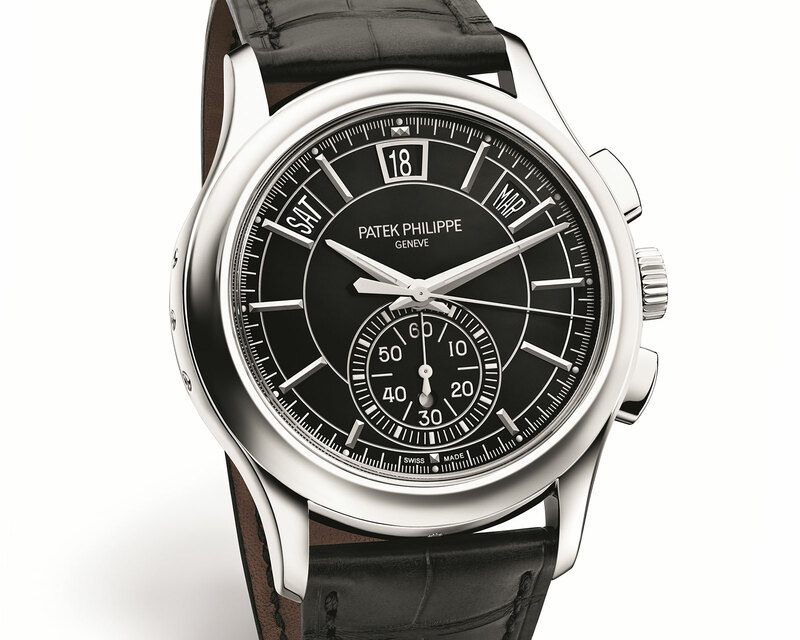 And as is convention for all platinum Patek Philippe watches, the case band is set with a small diamond at six o’clock. Pricing is nearly identical to the last price of the Ref. 5960P, with the Ref. 5905P carrying a price tag of US$78,200 or 100,400 Singapore dollars.